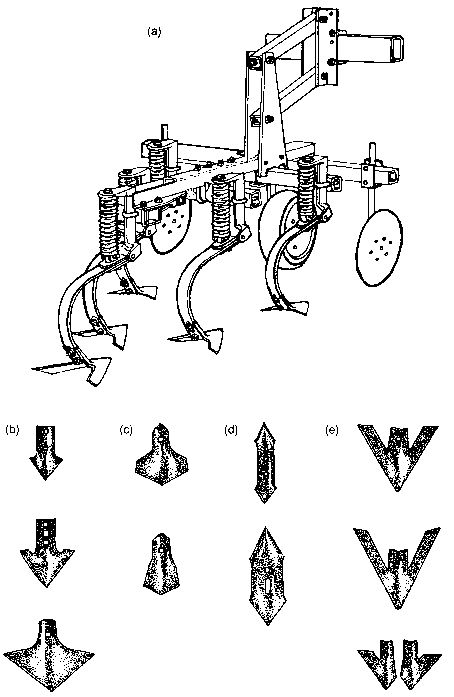 Tillage prior to planting a crop can be used to meet a variety of objectives, including weed control, seedbed preparation, and residue management (Buckingham & Pauli, 1993, p. 2). From a weed management perspective, tillage re-initiates ecological succession, allowing dominance by early succes-sional annual crops rather than the perennial species that naturally come to dominate undisturbed vegetation. Tillage has been criticized as a cause of erosion and destroyer of soil tilth. Indeed, when applied without soil conservation measures or used in inappropriate soil and weather conditions, some types of tillage can promote erosion or loss of soil structure (Dickey et al., 1984; Andraski, Mueller & Daniel, 1985; Gebhardt et al., 1985; Langdale et al., 1994). When properly used, however, tillage can enhance water infiltration (Unger & Cassel, 1991), facilitate management of soil fertility (Randall, 1984), and help warm cold soils (Johnson & Lowery, 1985; Cox et al., 1990; Coolman & Hoyt, 1993). It can also increase the proportion of crop seeds that produce established plants (Carter & Barnett, 1987; Griffith et al., 1988; Cox et al., 1992) and improve root growth through better aeration, reduced bulk density, and lower soil resistance to penetration (Bauder, Randall & Swann, 1981; Cox et al., 1990). All these effects potentially improve crop productivity. Moreover, although reduced tillage practices are often advisable, soil can usually be conserved effectively without complete elimination of tillage if other conservation practices are used. These include cover crops, soil building crop rotations, contour plowing and planting, and sod berms and waterways. Integrated use of such practices can improve soil properties and greatly reduce erosion relative to conventional tillage cropping systems (Cacek, 1984; Reganold, Elliott & Unger, 1987). Jackson (1988) compared two adjacent Ohio farms on an erosion-prone soil. One was in no-till management; the other was regularly tilled but had been treated with soil building rotations, cover crops, manure, and reduced compaction practices for 70 years. The tilled farm showed no indication of erosion and had lower bulk density and higher infiltration rates and soil organic matter than the no-till farm (Jackson, 1988). Most erosion attributed to tillage results from the exposure of soil to wind and rain that occurs when surface organic matter is buried, rather than from soil disturbance per se. 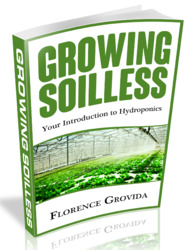 Chapter 5 addresses ways for maintaining surface organic matter on tilled land.